Our standard 10-business day turnaround time is perfect for most of our customers. But we also offer expedited service levels for those times you need to move your repair to the front of the line. STANDARD: Your repair ships 10-14 business days from when we receive your purchase order. RUSH: Your repair ships within 5 business days from when we receive your purchase order, 2 PM CT cutoff. Fee is 10% of the standard cost, $100 minimum. Emergency Breakdown: Your repair ships within 48 hours from when we receive your purchase order, 2 PM CT cutoff. Fee is 25% of the standard cost, $250 minimum. 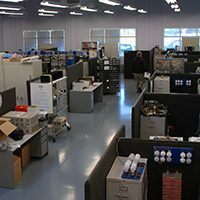 Warranty Repairs – 5 Business Days from time of receiving at IIDM. Warranty items are evaluated on their status in accordance with our TERMS AND CONDITIONS. 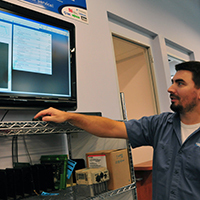 * All service levels depend on the availability of parts and components needed to complete your repair. Tip: You can pre-approve your repair cost up to any dollar amount you choose. This eliminates time in sending quotes and quote approvals. We pick up and deliver in the Greater Houston area. Call 800-237-3278 to schedule. Ship your item to us at 13770 Hollister Road, Suite 100, Houston, 77086. 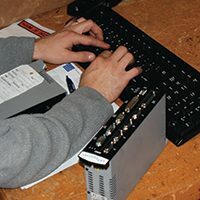 RETURN SHIPPING: You will be charged standard UPS rates for return shipping. 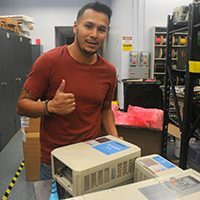 If you have a carrier account you would like us to use, please include those instructions on the submission form, call us at 800-237-3278, or email repairs@iidm.com. We are happy to work with you on return shipping. 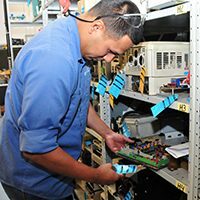 Step 1: Since the 1970s, repairs have been done at our Houston-based repair depot by Innovative-IDM technicians. Step 2: Your part is received and logged in by our customer service rep. You are notified that your item has safely arrived. Step 3: The part is assigned a job number, tagged for identification and is assigned for evaluation. If the matter is urgent to you, we can move your part to the head of the line for a fee. 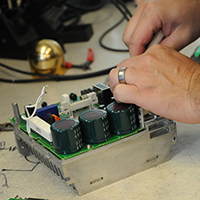 Step 4: All repair jobs are tracked to assure quality control and timely turnaround. We offer a variety of turnaround times, from standard turnaround to overnight Emergency Breakdown. Step 5: Your part is evaluated for problems by a certified technician. In most cases, the part is repairable and you will approve a written estimate before we begin work. If the part is not repairable, we can return it to you or recycle it. We will even make arrangements for a new part to be delivered if you wish. You decide. 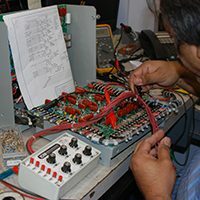 Step 6: Once you’ve approved the estimate, our technicians do the rest. Step 7: Hard-to-find parts and components can be a challenge. 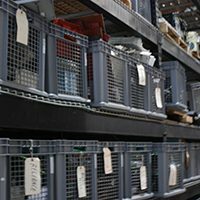 But with 40 years of drive and board repair experience, Innovative-IDM has amassed racks of spare components in our warehouse from which we can pull obsolete parts. Step 8: Repair complete. You are ready to roll. Your part is then carefully packed in custom-formed foam and ready to ship.